Sugar free doesn't mean flavor free. 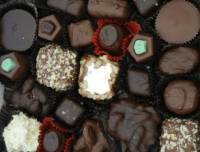 Wait until you try these chocolates and other candies--you won't even miss the sugar. 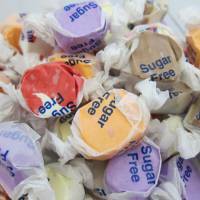 Sugar Free Salt Water Taffy 10 oz. Description: 12oz. Sugar Free Salt Water Taffy. Sweet and Tasty Salt Water Taffy. 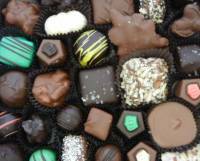 A variety of flavors in each pound.